27th January 2019 – PACE athletes were competing on different continents and different surfaces over the weekend, but all showed they are in good shape early in the year. In previous seasons Hellen Obiri (KEN) has raced on the boards indoors and indeed is a former World Indoor Champion. However, this year she is pursuing a different path as she looks for a World Cross Country title. Once again she showed she is warming to the task nicely as she was a comfortable winner at the Kenyan Defence Forces Cross Country Championships. Taking the lead at the end of the second lap Hellen built a winning margin of 42 seconds by the end as she crossed the line in 32:20 for the 10km course. At the first IAAF World Indoor Tour event of 2019 in Boston, Bethwel Birgen (KEN) began his campaign to win another tour title. In the 1 mile event he was second in an indoor PB of 3:54.82 with training partner Vincent Kibet fifth in 3:56.93. In the women’s 60m Schillonie Calvert-Powell was fourth in 7.38 seconds. 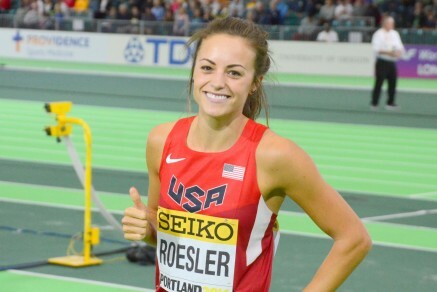 At the Norb Sander Invite in New York, Laura Roesler (USA) made her only scheduled indoor appearance and will be satisfied with a PB of 2:38.11 for the 1000m which earned her second place.